Birmingham, England — On Soho Road in Birmingham, mosques, churches, and temples sit cheek by jowl. 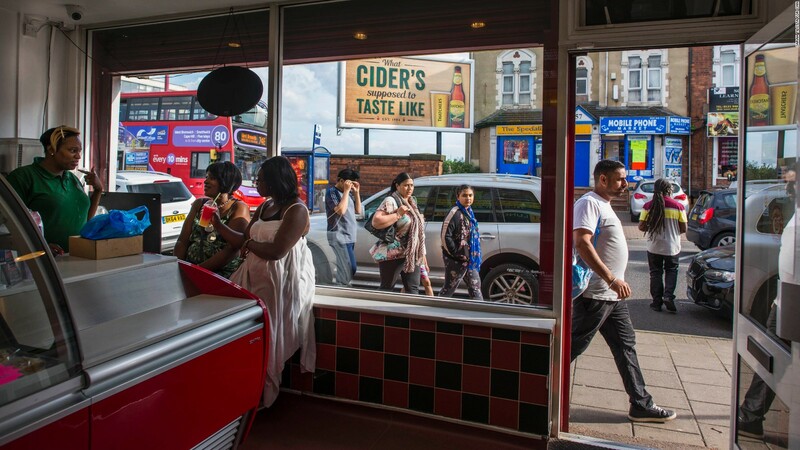 The mile-long stretch, which has drawn migrant communities for decades, is crowded with halal butchers, sari shops, and Caribbean fast food joints. 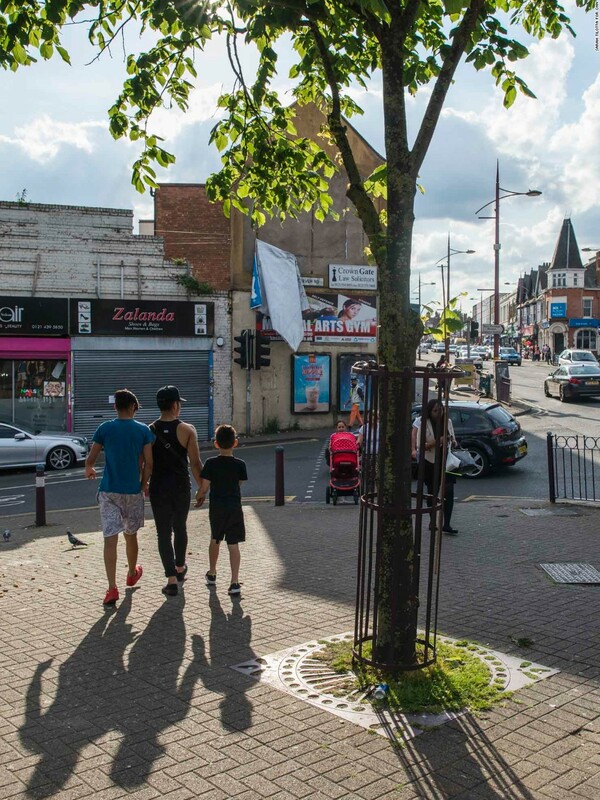 It doesn’t seem like a place where anti-immigrant sentiment could find a foothold, but last year’s Brexit referendum split this community down the middle. The campaign to leave the European Union, pitted second- and third-generation British Commonwealth citizens whose relatives migrated from places like India, Pakistan and the West Indies against first generation arrivals from the European Union. It preyed on fears that “foreigners” were snapping up jobs and it worked. A Sikh man passes Soho Sweet Centre, a family owned business that has been selling Asian desserts in the neighborhood since the ’70s. Birmingham shocked pollsters when it voted in favor of Brexit by a hair. Just 4,000 ‘Yes’ ballots carried the day for those seeking to leave the EU. Ahead of the June 8 general election, residents here are eyeing the future warily. Maria Bryan’s family opened Davis Bakery & Caribbean Restaurant at 76 Soho Road in 1954 when the first wave of British Commonwealth citizens migrated to the city after World War II. 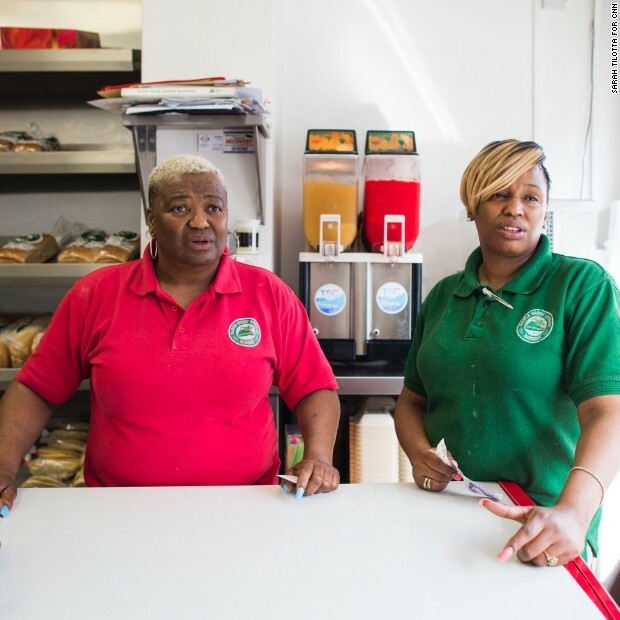 Maria Bryan, 58, (left) and daughter Anneka Smith, 35, (right) stand at the counter of their family’s bakery. The Jamaican eatery, known for its traditional, brick oven-baked bread, meat patties, and fritters, is a local institution. But, in post-Brexit Britain, Bryan is considering moving out. “England is finished,” Bryan, 58, says. Her daughter, 35-year-old Anneka Smith, nods in agreement. “Politicians, we don’t even see them. They don’t understand what’s happening here in this community,” Smith said. Shazia Kauser, 25, who was walking to the mosque with her family, said people in the neighborhood were angry after Brexit. “Britain doesn’t represent me with Theresa May in charge,” she says. A few weeks ago, Prime Minister Theresa May was in the area – just across the street. She was visiting Nishkam Primary, a multi-faith school that’s part of a huge Sikh complex at the top of Soho Road. May’s Conservative Party is angling for votes here, despite it being a heartland for the opposition Labour Party. But nobody on the high street seems to be swayed by her "strong and stable" message. In an area with high levels of poverty and low life expectancy, Labour leader Jeremy Corbyn’s focus on social issues is resonating. 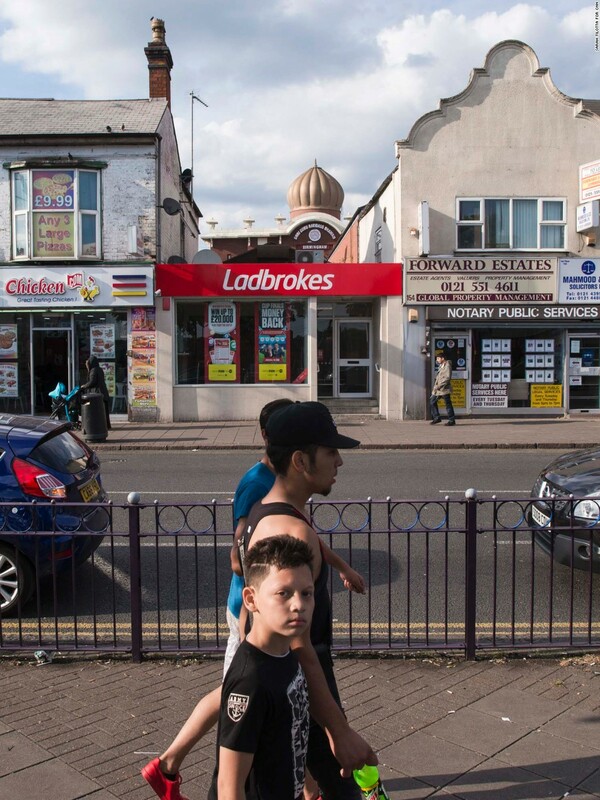 Young people walk past a Ladbrokes gambling shop, a Sikh temple towers in the background. Kamal Bhamra, 62, says she will be voting Labour because of the party’s pledge to cut university tuition fees. Her 30-year-old son recently went back to school and the costs are crippling. 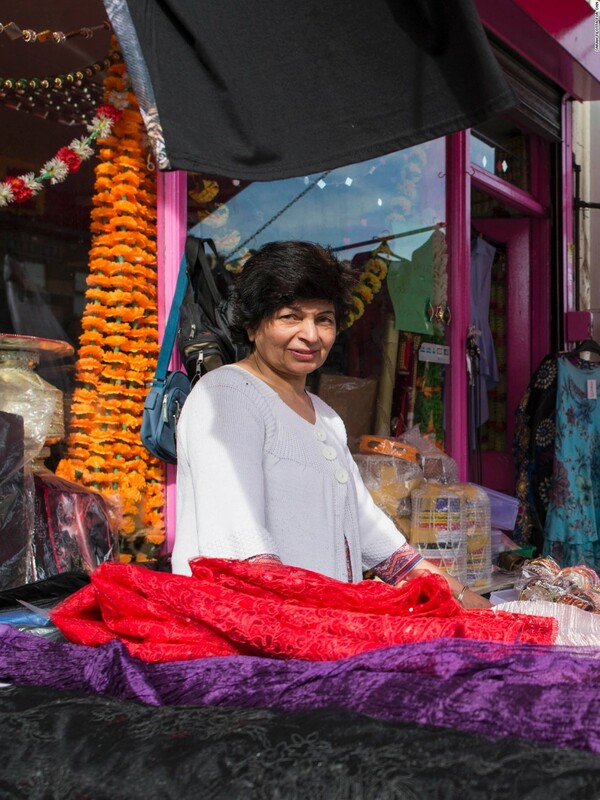 Bhamra opened her dress shop on Soho Road nearly 30 years ago after emigrating from India. Hers was the first Indian dress shop on a street now dotted with sari stores. Kamal Bhamra, owner of Nagina Wedding Boutique, stands outside of her shop on Soho Road. 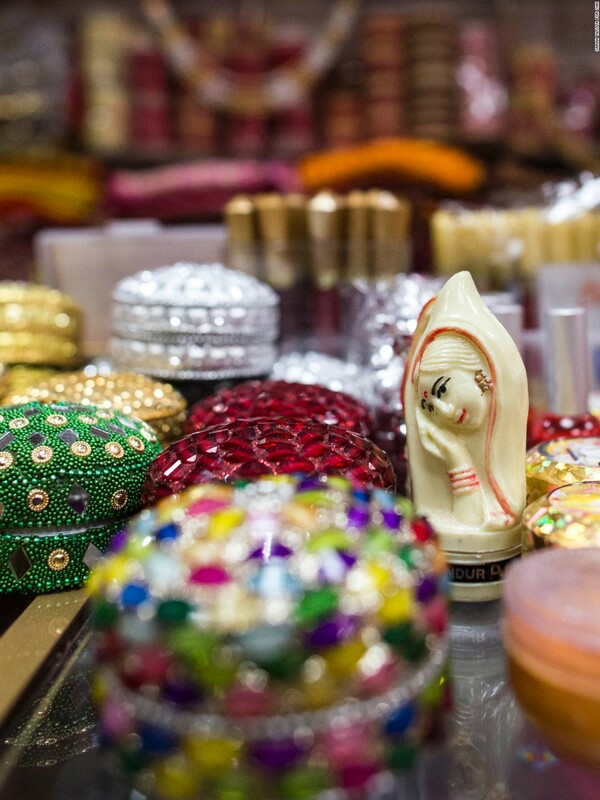 Despite selling mostly Indian wedding wares, Bhamra says she also has Eastern European clientele. "There were only English shops when I came here," Bhamra says. "A lot has changed since then. People come from everywhere now, from Poland, from Romania." Bhamra voted Leave after being persuaded by Brexit campaigners that newer migrants were taking jobs. In March, Birmingham was revealed as Britain’s unemployment capital, even as the government hailed a country-wide jobs boom. Parts of Birmingham have an unemployment rate of 10%, double the national average of 4.7%. Young people walk up Soho Road in the late afternoon sun. 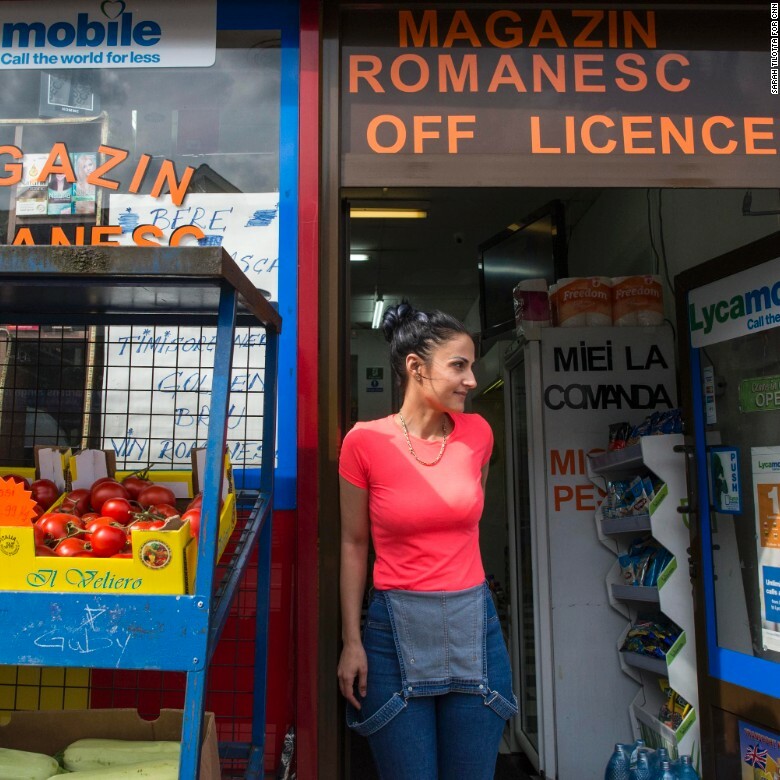 A few doors down, Roxanne Plesa, 31, sits behind a cash register at R&B Magazin Romanesc, the Romanian grocery she runs with her husband Costinil. “I'm not happy...like all Romanians, no one is happy about what happened last year,” Plesa says. She steps aside to ring out a Romanian woman who nods along knowingly. After nine years living in the city Plesa says she feels scared in the wake of Brexit. Roxanne says that after Brexit, she told her husband that she wanted to leave the UK. 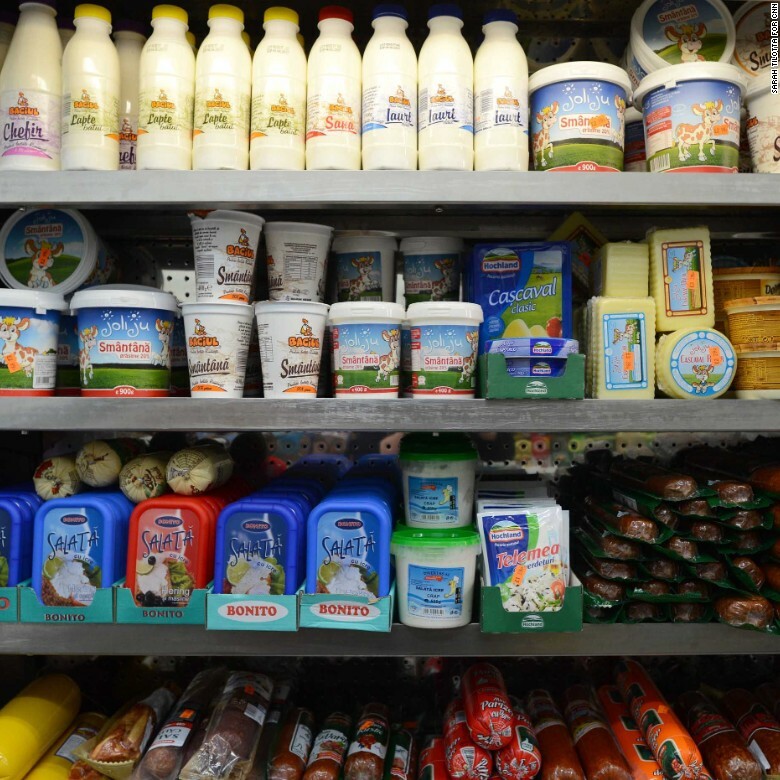 The Plesa’s shop is packed with dairy, cured meats, and other treats from Romania. But husband Costinil, 45, says the UK is their country now. It’s an uncertainty that’s echoed up and down the high street. 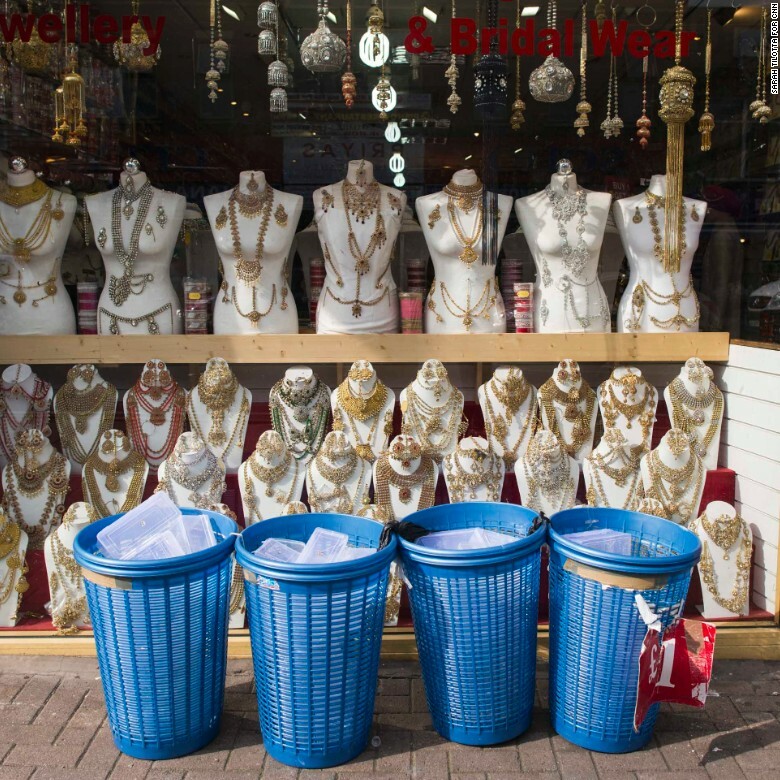 An Indian jewelry shop glitters in the sun on Soho Road. Much of the street is dominated by goods for the local Hindu and Muslim communities. 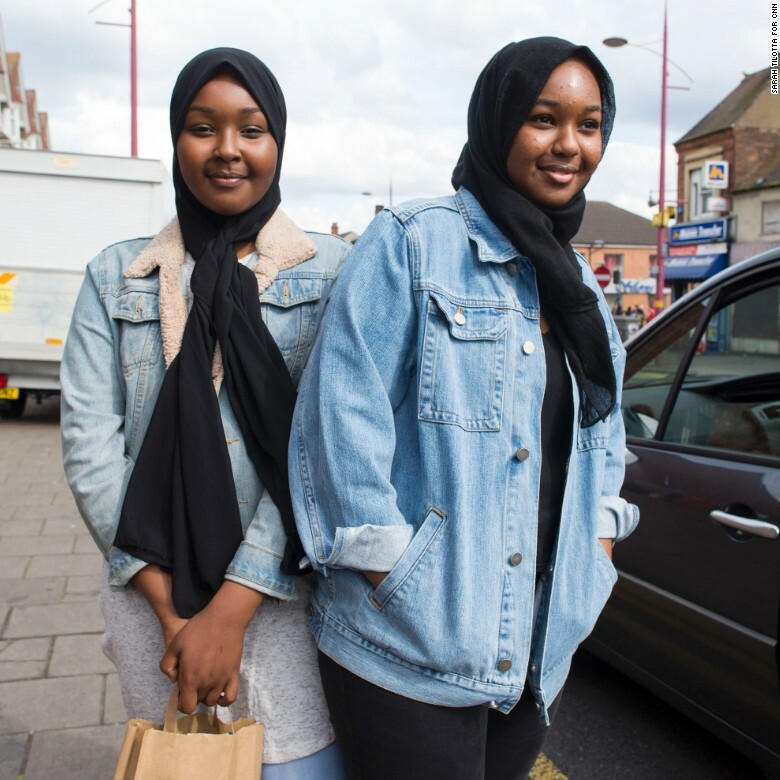 Muna Farah, 14, (left) and sister Najah Farah, 18, (right) grew up around Soho Road. The general election will be Najah’s first time voting, and she’s not sure who she will cast her ballot for. 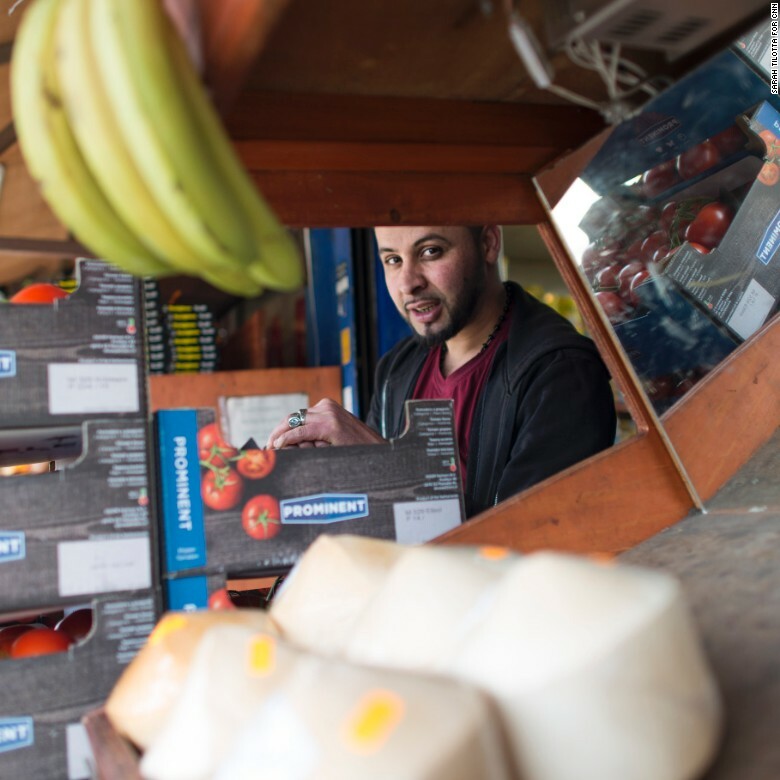 Aziz, who has lived in the UK for six years, manages the International Supermarket on Birmingham’s Soho Road. The shop, which has a sign over its door boasting Turkish, Kurdish, Polish, Greek, and Albanian produce, is as multicultural as the street it trades on. 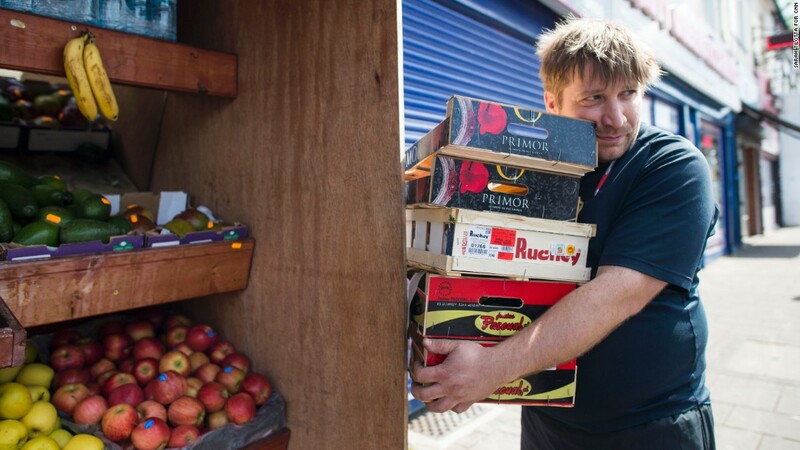 Aziz’s coworker, Rudolf Bilik, a 37-year-old from Slovakia, found love on Soho Road. He met his Polish girlfriend at the market. “When we talk about building our life, it’s here,” Bilik says. “I was surprised by the vote. I wanted to stay in the EU,” Mohammad Aziz says, adding that it’s a frequent topic at work. 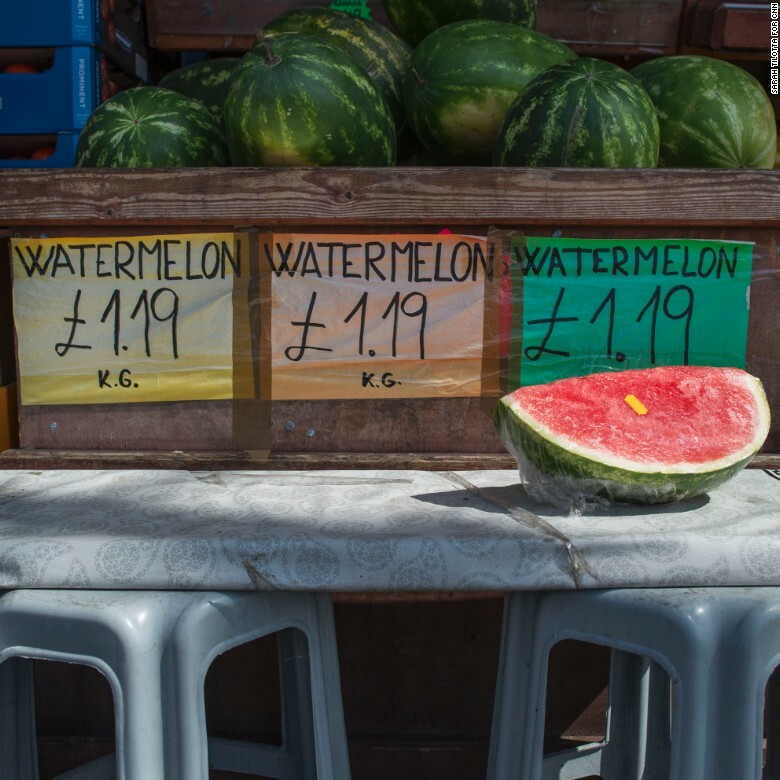 Watermelons stacked outside the International Supermarket on Soho Road. 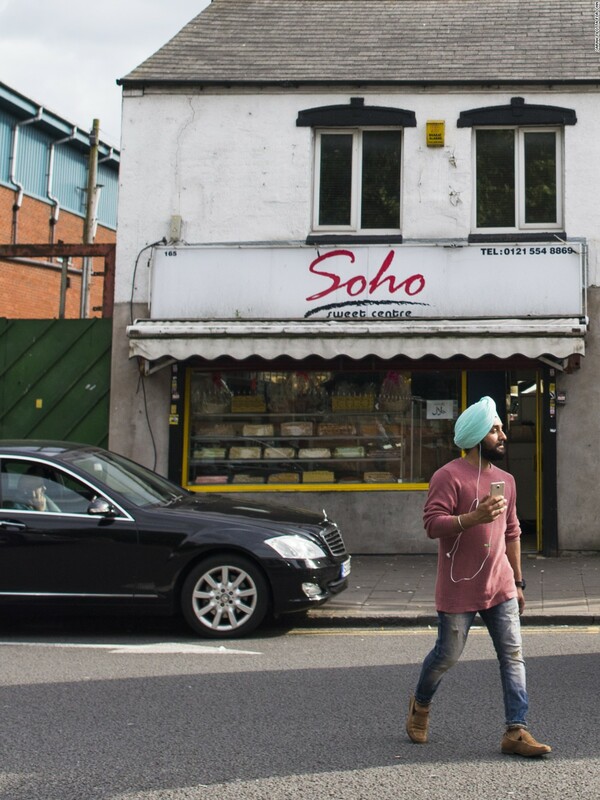 At the end of Soho Road, sitting in his white-carpeted office, Bhai Sahib Bhai Mohinder Singh can see the length of the bustling thoroughfare below. Dr. Singh, one of Britain’s leading Sikh figures, met Theresa May during her visit to Nishkam Primary last month. 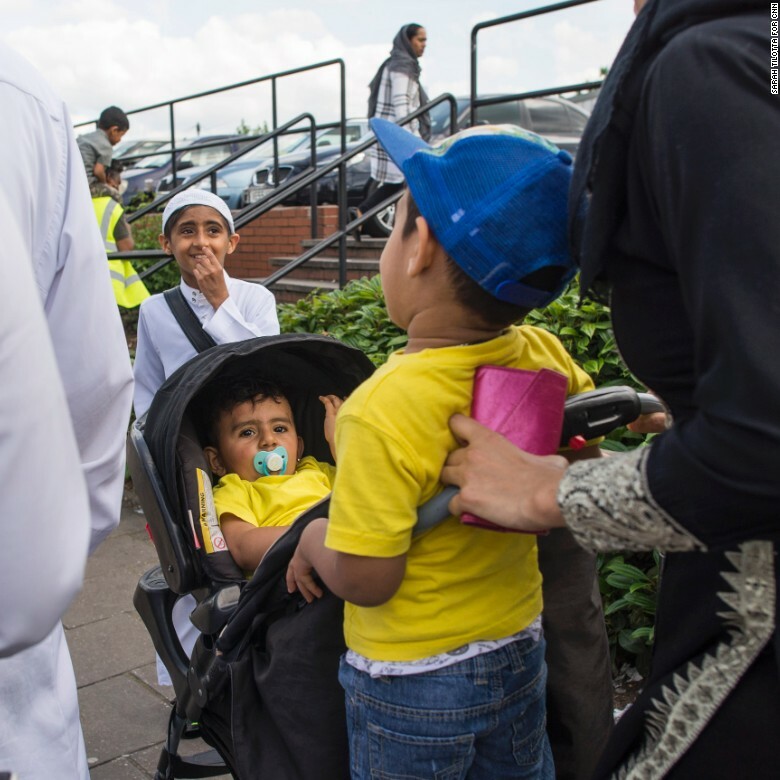 The school, which was created as part of the government’s free school initiative, is one of Singh’s many initiatives to bring the Birmingham community together. “I found her to be very good at listening,” Singh, chairman of the Nishkam Group, says. Dr. Mohinder Singh stands outside Guru Nanak Nishkam Sewak Jatha, a Sikh temple on Soho Road. But he adds that he was not happy about Brexit. 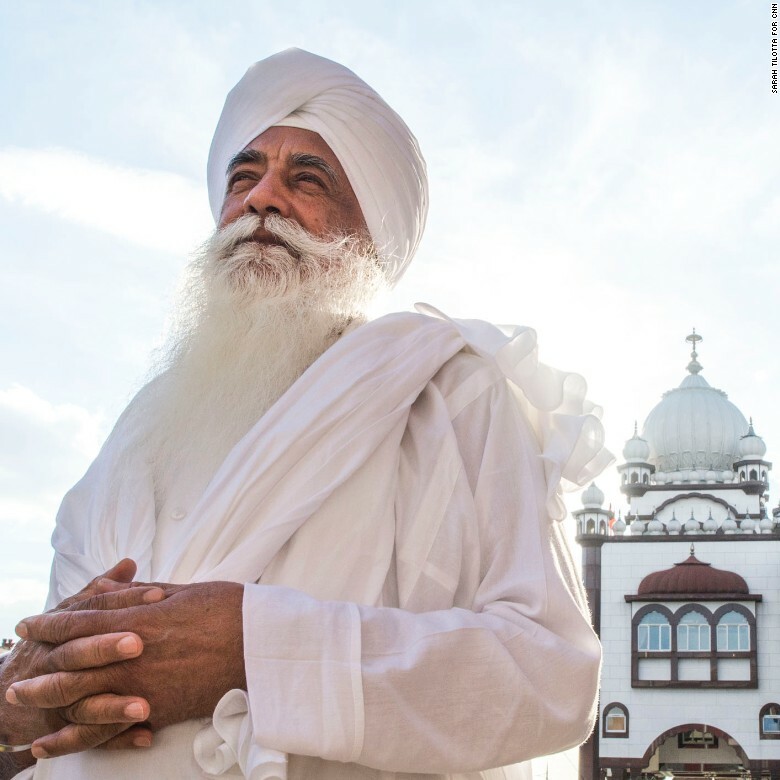 “But we must also be optimistic,” Singh says, the late afternoon sun casting long shadows on the street.